This is an image overlay in camera. 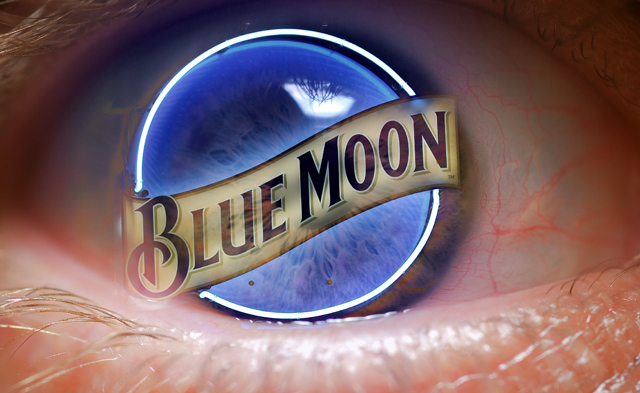 First shot the beer sign and then the eye, overlaid in camera. Took allot of shots of the eye to get them to line up. Post: Opened in NX set color point, opened in photoshop and adjusted brightness & contrast, curves, USM, re-size and save for the web. I predict 4.754. Oh man, oh man...i thought for SURE this was the Blue!! Great finish tho! congrats! man...I'm just tasting my new D80.....c'mon Santa!! HURRY! Wooooo! Top ten, awesome shot Wazzatron! Congrats on the 6th place. Excellent shot! Hey, congrats! That's a very cool image. Awesome job Waz!!! Congratulations on the top 10!! I had this one in my top 3. Great image. Thanks for letting us know how you did it. Way to go - great shot and an excellent finish. Well done! Edit - Its from timfy - somehow I got logged in as aimee. Message edited by author 2006-11-15 07:01:18. What a camera and what a shot. This is really the coolest capture in this entire challenge! Congratulations on your 6th place. If this one isn't the winner....then this is rigged! Here's hoping I'm right! 10! Stunning shot - what more can i say? I hope you do a "How'd they do that" on this photo. Brilliant. 10.
creative idea, but for me, the bottom eye lid is too close for comfort. i think if you backed it up a bit and got the focus more consistent, it would be better. what an honor it is for you to take a picture just for me! lol. Wow, if this is a real photograph its awseome. I dont know if its psp's or not, but voting as if it were not. This is both interesting and unsettling at the same time. Very good job of catching this reflection, however, in it's current context it is kind of hard to tell it's a neon sign. Will be interesting to see where this one ends up. Good luck. I suspect you will do quite well in this challenge! Certainly creative thinking. HOw would it look with the eyelids desaturated? Not sure if you could do this in basic but maybe??? That is an excellent capture! The most original BY FAR!! This is the best picture ever! Very welle done!!!!! That's a 10.
if this fits in the rules, then its a clear winner to my mind. I am not sure but that certainly doesn't seem like basic editing to me maybe you should get some concensus judging here! It looks a lot like you masked your image then layed the neon sign over your eye imagine with a slight opacity so that your actual eye would shine through but then that is just me. Proudly hosted by Sargasso Networks. Current Server Time: 04/20/2019 02:37:40 AM EDT.